Publishers – Collins Publishing Ltd. 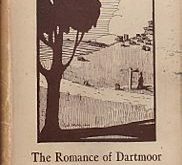 It has been many years since a ‘significant’ Dartmoor book has been published and that situation has been rectified by the publication of Ian Mercer’s book ‘Dartmoor’. I have several hundred Dartmoor books in my library and the majority of them sit on a dusty bookshelf at the back of the office. However, on my desk I keep 26 books near to hand and these I would classify as the everyday ‘look ups’, if I want to know something these are the books I go to first. They include all of Crossing’s books, Hemery, Row, Worth, Butler, Brewer etc, they now have a new addition – Ian Mercer. Here you have 400 pages that bring Dartmoor screaming into the 21st century, the book is studded with stunning photographs, maps and diagrams. For many years Professor Ian Mercer has been involved with the various aspects and committees related to Dartmoor which clearly shows in this book. At £21 the book is a bargain, that works out at 0.07p a page and will be an investment that is guaranteed to bring hours of discovery and pleasure each time its covers are opened.